The district’s severe weather procedures were developed with the assistance of local, state and federal emergency personnel to proactively protect our students and staff. We work closely with the National Weather Service in Norman to monitor approaching storms. In addition, our site administrators have constant contact during severe weather via 2-way radios programmed in cooperation with the city of Edmond Emergency Operations Center. Considerable time and effort go into creating detailed plans and conducting drills during the school year to prepare students and staff should weather become threatening. EPS endeavors to announce its decision to close between 5-5:15 a.m. and will post that information to the district’s social media platforms, school websites, mobile app and share it with local media. When possible, EPS will decide on closure the evening before. To avoid confusion, EPS announces ONLY when school is closed. If you do not see a posting that school is canceled, it means that school is being held that day. When weather conditions develop during the school day, schools will NOT be dismissed early because thousands of parents work and students could potentially be arriving home to a locked house. If the weather starts to deteriorate during the school day, parents may pick up their student(s) early. Please be advised that in the case of a high school student, weather-related absences are counted in the exemption formula. To find out if schools are closed, monitor social media, the district website, push notifications from the district’s mobile app and local media. The district’s free mobile app can be downloaded by going to MySchoolWay. Please do not call district headquarters or individual schools. These lines must be kept open. When a tornado watch is issued during school hours, site administrators monitor local media and the National Weather Service to stay up-to-date-on potentially changing weather conditions. When a tornado warning is issued or the city tornado sirens are activated in the vicinity during school hours, students take shelter in the building until the “all-clear” is given by the district’s central office. Students and non-essential staff shelter in the safest refuge areas. Depending on the school that could include hardened safe rooms, underground/partial underground areas or the center part of the building lowest level, away from doors and windows. 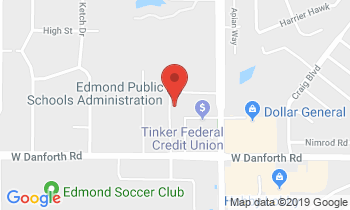 Edmond school buildings are not public storm shelters. 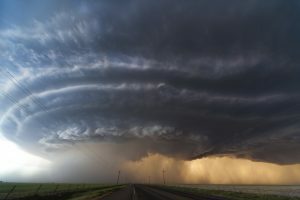 The Central Oklahoma Emergency Management Association emphasizes that a personal storm shelter is the best option to protect you and your family during threatening weather. Because Edmond has so many safe rooms the district does not cancel school when severe weather is threatened. If you choose to keep your child(ren) home or check them out early due to the threat of severe weather, please be advised that attendance requirements remain in place. You may contact the school to report your child(ren)’s excused absence. At the high schools, such absences are recorded and included in the count for test exemptions.